According to a new study published online in the journal Pediatrics, kids with mental illnesses—in particular attention deficit hyperactivity disorder (ADHD)—are often solely treated by family doctors and pediatricians. The study suggests that more than one-third of U.S. kids receiving care for a mental health problem are treated by their primary care physician without the involvement of a social worker, psychologist, or psychiatrist. Researchers analyzed data from the Medical Expenditure Panel Study, an ongoing federal survey intended to assess the cost and use of healthcare in the U.S. The research team looked at children who visited a doctor for a mental health condition. They found that 35% of children only saw their family doctor or a pediatrician, while a further 10% received care from their primary care provider as well as a social worker, psychologist, or psychiatrist. Additionally, about 26% solely received care from a psychiatrist, while 15% received care solely from a psychologist or social worker. Dr. Jeanne Van Cleave, the study’s senior author, explains that there are not enough child psychiatrists in the U.S. to treat every child who has a mental health condition. She suggests that kids would be better served if pediatricians had regular contact with mental health experts so they could receive guidance. Dr. Andrew Adesman, chief of development and behavioral pediatrics at Cohen Children’s Medical Center in New York, suggests that study findings reflect how the American Academy of Pediatrics is urging pediatricians to take a more active role in treating ADHD. 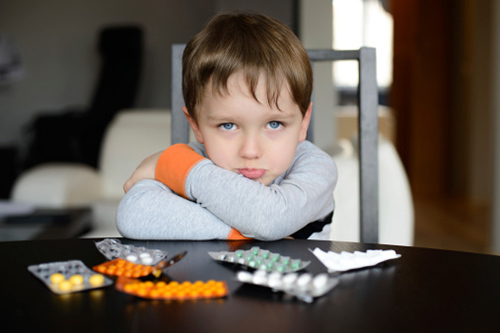 He notes that clinical guidelines for pediatricians recommend that medication be considered as a first-line treatment for youths with ADHD who are six years old and older. According to the U.S. Centers for Disease and Control and Prevention, about 11% of U.S. children between the ages of four and 17—an estimated 6.4 million children—have been diagnosed with ADHD. However, there are only about 8,000 child psychiatrists practicing in the U.S. and 600 developmental-behavioral pediatricians. Thompson, D., “Kids with Mental Ills Often Treated Solely by Primary Care Doctors,” Medicine Net web site, October 12, 2015; http://www.medicinenet.com/script/main/art.asp?articlekey=191161.